Are you being emotionally abused by a narcissist? 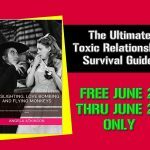 Do you deal with regular episodes of your significant other raging against you, expressing extreme anger, frustration, or outrage — and have a significant amount seemingly unnecessary drama in your relationship? Ever feel like you live with, work with or love your own personal bully? Being in relationship with a narcissist is like snuggling up to your personal bully. How do you feel after spending time with this person? Do you feel happy, relaxed, loved? Or do you feel stressed, angry, fearful or sick? Be honest with yourself. It’s just you and me here. Not sure? Here are the 12 signs that you’re in love with a narcissist. Related: Are you dating a narcissist? Here are the red flags. If you’re dealing with a narcissist, chances are that spending time with him or her is very bad for you in several ways. 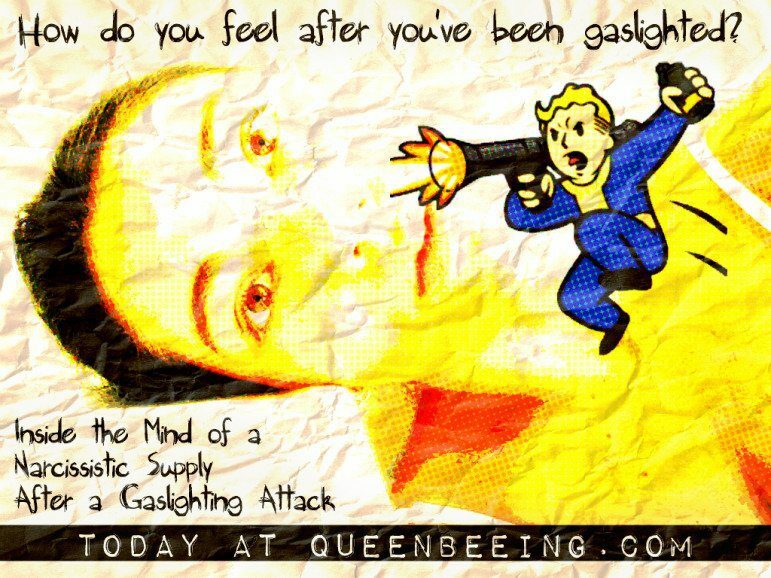 Episodes of gaslighting (and other kinds of narcissistic manipulation are used against you. As always, a narcissist’s goal is often to not only mess with your confidence but ultimately to gain control over you. A narcissist will mess with your head in order to get control of you. Often, these episodes involve narcissistic rages in which it can feel like the world will end. These can result in hours, days, weeks or even months of verbal and emotional abuse for even the smallest incident. When these attacks happen, your whole world will feel like it just stops, and you won’t be able to function until it’s over. Even then, your ability to feel normal may be gone for a long time. As you sit in the cold, numb aftermath of yet another attack on your personal character, your thoughts are dulled and foggy. You can’t seem to form a complete thought as the sharp, cutting insults replay over and over again in your head. This torturous soundtrack is accompanied by a small voice in the back of your head, the part of you that remains indignant about the abuse, the part that still knows it’s not normal and that you deserve better. That part of you quietly counters the insults, reminds you that they’re all a part of the manipulation tactics the narcissist uses to gain control. That’s the same part of you that truly knows that you’re not in a “healthy” relationship and that there’s little chance you’ll successfully change this person. That part of your mind races, struggling to form a plan to fix things, to make your escape or to at least find “normal” again. And it’s that part that will ultimately help you to not just exist and survive, but also to really thrive and become the fully realized person you deserve to be. The longer you remain in a toxic relationship, the more you deny your truths in order to avoid the wrath of this narcissist, the quieter this voice becomes. When you deny your feelings, when you allow yourself to be told that you’re not a real person and that you don’t matter – you begin to act as if that is true. No matter what a narc says - you are a real person and you do matter. And, by the basic law of attraction, you draw more of that “I don’t matter” energy to yourself. That’s because you begin to vibrate that sense of “I’m not good enough.” And you become inferior because you believe that you’re inferior. You’ve got to listen to that voice, or you may lose the ability to hear it. Don’t just listen. Take action and do what you need to do until your life feels good. Can you remember how it felt to have a life that made you feel good? Can you imagine a life that is good? If you have a few minutes, imagine what would happen if you woke up tomorrow morning and found that a miracle had happened overnight and all of your problems are gone. What do you see? What does your ideal life look like? When you can begin to imagine what you consider your perfect life, you can begin to claim it for yourself. When something doesn’t feel right in your gut, trust that feeling and act accordingly. That’s your intuition kicking in and it’s almost always to your benefit to listen and act accordingly. Do you hide your relationship problems from people in your life? Would anyone be shocked if they knew what you were really dealing with behind closed doors? If you are embarrassed to share details about your relationship with friends, there is a reason. Examine it and ask yourself why. When we stop listening to our true selves, we start losing our identities. We become a shell of ourselves and begin to conform to the expectations of people who, if we’re being honest with ourselves, really don’t love anyone, not even themselves. Why do we continue to allow ourselves to be abused? As a narcissist’s supply, we conform to his expectations to the best of our ability, which of course is never quite good enough. We do this, in part, because it is our nature to want to keep the peace and also to please others. In case you weren’t aware, narcissists are almost always attracted to empaths, because we are especially aware of others’ emotions and naturally concern ourselves with them. Narcissists are drawn to empaths because they are easily triggered into action by the emotions and emotional outbreaks that are so common. While some people would recoil and be repulsed initially by their behavior, empaths are wired to want to help emotionally struggling people. And so we spend our lives trying to fill an unfillable hole, to reach an unreachable standard. But what we fail to realize is that it doesn’t matter how hard we try – the narcissist will never be satisfied, at least not for long. We convince ourselves that we just need to do a little better, try a little harder – change a little more, and everything will be okay. We see ourselves becoming a “not good enough” version of someone else’s ideals, rather than a beautiful, vibrant and fully realized version of ourselves. And if we keep this up for long, our true selves are left for dead, quietly whispering our truths in the back of our minds as we desperately seek to quiet them, to shut them up and out. All of this, so that we don’t have to risk the pain of the emotions that we will inevitably face when we fully realize (and admit to ourselves) the disservice we are doing to ourselves by allowing this abuse to continue. So what do you do now? Once you’ve admitted the problem, you’ve taken the first step toward resolving it. Personal change must start within. We already know that there’s no changing someone else – it’s not your place or your right. So start with yourself. 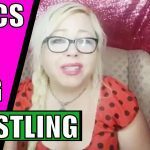 Here are some links to get you started on making the first move toward finding the happiness, peace and general human rights you really deserve. Check out my narcissism recovery resources page, right here. See my books at BooksAngieWrote.com. There are several on narcissism and recovering from narcissistic abuse in relationships, as well as several that will help you to boost your confidence and create the life you really want. Your Turn: Tell Me What You Think! Now, I want to hear your side of it. 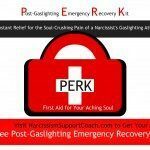 Have you been affected by a narcissist’s gaslighting attacks? Do you see yourself in any of the above ideas? Share your thoughts and experiences in the comments section.